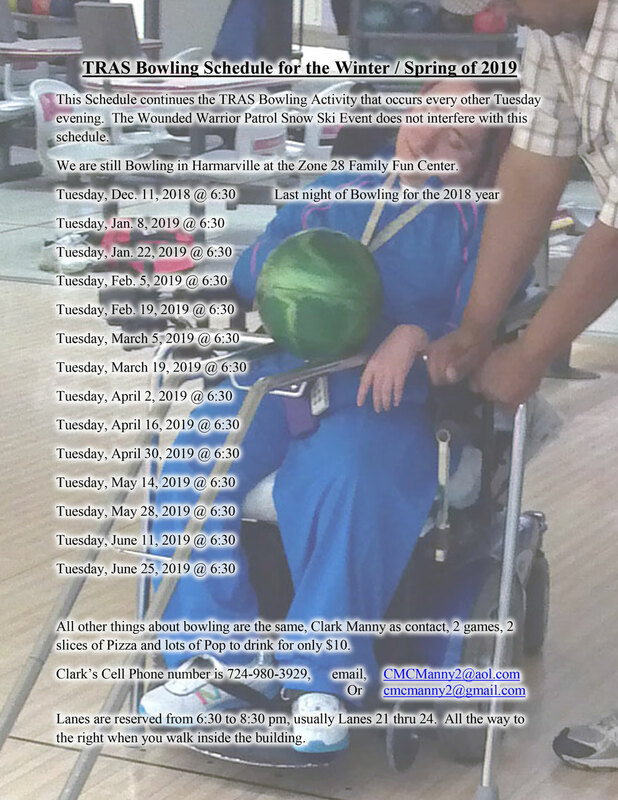 ANY PERSON WITH A DISABILITY, THEIR FAMILY MEMBERS AND FRIENDS ARE WELCOME TO JOIN THIS FUN SPORTS PROGRAM. AN OPPORTUNITY TO HAVE FUN, PHYSICAL ACTIVITY AND SOCIALIZE WITH OTHERS. 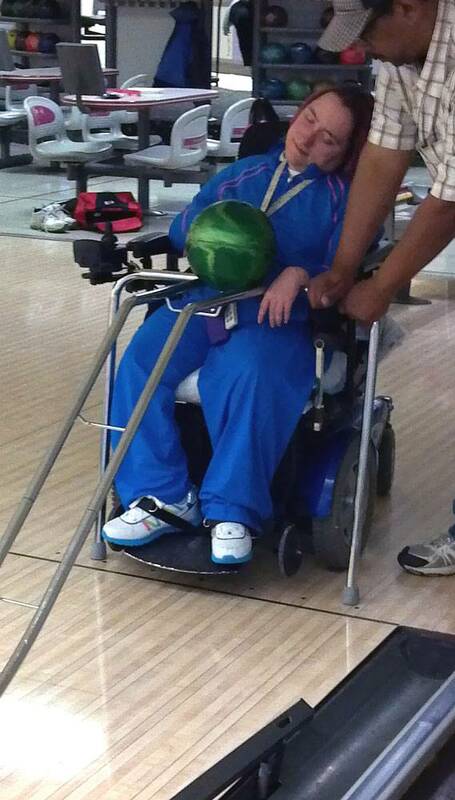 ADAPTIVE EQUIPMENT SUCH AS RAMPS AND WHEEL CHAIR FACILITIES ARE AVAILABLE. You can use PayPal to pay your Bowling Fees! Three Rivers Adaptive Sports initiated the Bowling Program in June 2008 with a grant from the Council on Brain Injury [CoBI]. Since its inception, it has been a popular activity for TRAS members and non-members with and without disabilities, their friends and families. Over the years, participants have included people who have experienced challenges due to Brain Injuries, Stroke, Cerebral Palsy, Spina Bifida, Spinal Cord Injuries, and Amputations. In part, the program is successful because it enables family and friends of the participants to join in the fun. Special equipment such as ball launching ramps and bowling balls with a retractable handle puts everyone at an equal ability level. 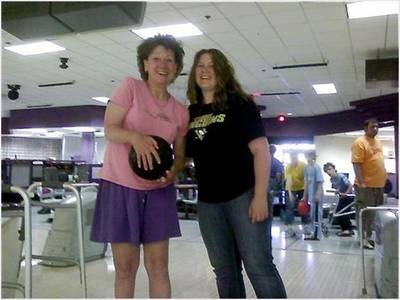 Volunteers are always nearby to assist each bowler when needed. 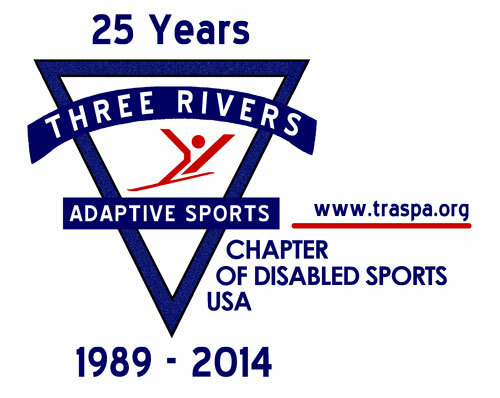 TRAS has partnered with organizations such as the Spina Bifida Association of Western PA, Western PA Amputees ‘Unlimbited’ Support Group, and has hosted bowlers from Israel and Russia. 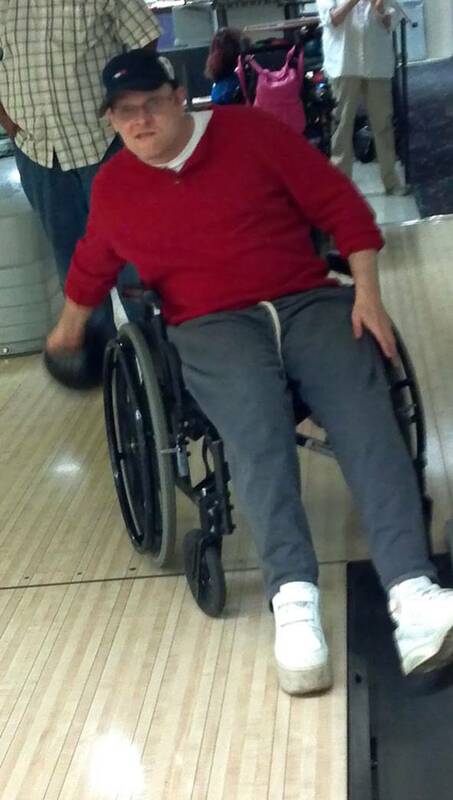 Currently, the TRAS bowling program is coordinated by long time volunteer and board member, Clark Manny. He runs the event year-round at the Zone 28 Entertainment Center [formerly the Fun Fest Entertainment Center] in Harmarville, PA. We get together every other Tuesday evening from 6:30-8:30PM. The schedule is always available on our events calendar. 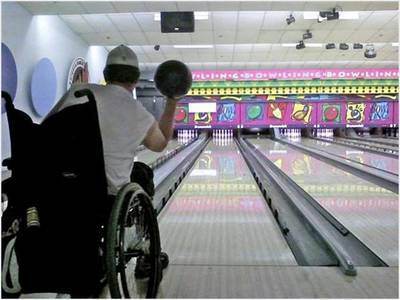 Participation fees include two hours of bowling, bowling shoes if needed, two slices of pizza and soft drinks. The cost is $10.00 for TRAS Members, and non-members.